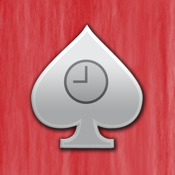 HoldEm Timer is an app that helps you manage the blinds for your home poker tournament. Its ease of use allows you to quickly setup and customize multiple blind structures to fit your home poker tournament. The clock is simple and easy to read and can be fully controlled.